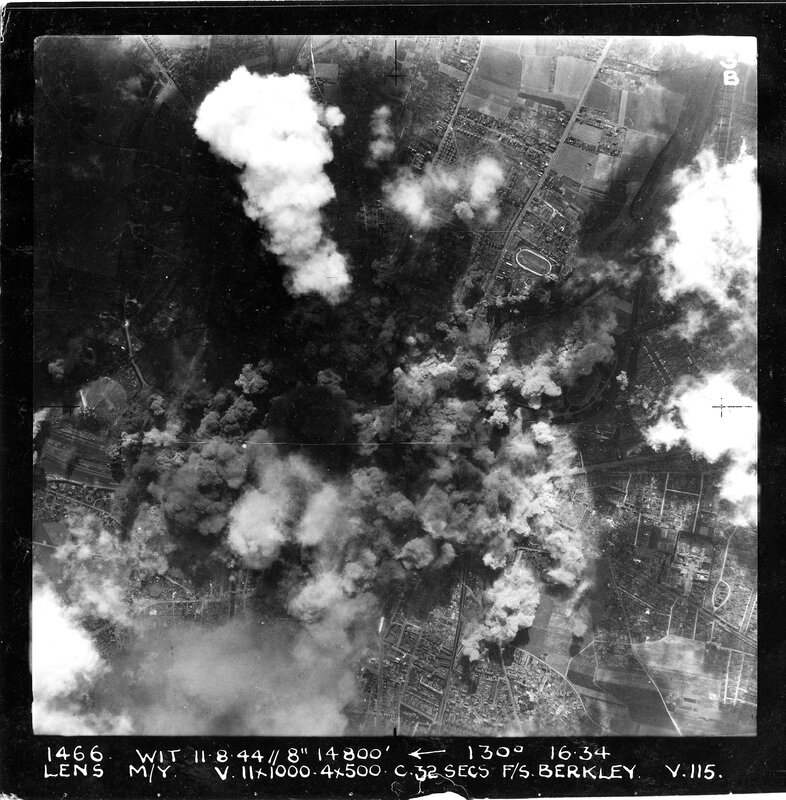 270 Lancasters attacked Douai, Lens and Somain. Did a daylight to Lens this afternoon and what a trip! There was no opposition to speak of and it was a good prang. I did as we were told on the way back and got back turn twenty of all times! Then I made one of the worst landings of my career – out in the grass, slid right off the runway! Oh, I was cheesed with things. Stayed in and had a shower tonight - which is about all I did. I got a letter from Barb this morning.